This was supposed to be a post about Jason Bentley/KCRW‘s triumphant visit to the San Diego Comic-Con, where the famed dj and record producer spun at a party for Disney’s Tron Legacy, for which production, he also served as music supervisor. 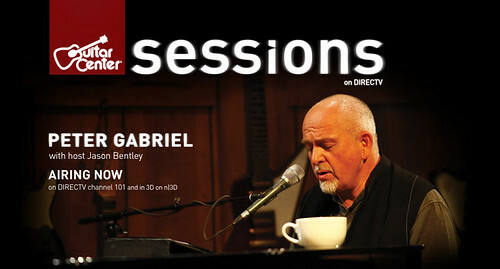 Instead, a few days later, I also saw he and the station were part of Guitar Center‘s entree into the content world with a Peter Gabriel interview Bentley conducted. These events show a level of commercialization and multimedia exposure of the stations’ taste and ideals from major conglomerates, and as a supporter and former volunteer, it’s really impressive. And yet even these prestigious achievements were just stepping stones to a slot Jason Bentley occupied on the first page of Apple’s new social music application, Ping. It’s not possible that my list was skewed to my taste, as it also included Lady Gaga and Katy Perry. He was the only radio person among artists like U2, Dave Matthews and Taylor Swift, and one of only three industry-ites. While the original Tron was so boring that we went out to the lobby to play the Tron video game during the movie, the special effects were spectacular. It was the first feature length film to use CGI – and the soundtrack by the ultra-influential Wendy Carlos was excellent as well (save for a Journey song). To read more about how she helped establish the synthesizer as a musical instrument, click here.